With the blessings of His Holiness Baba Hardev Singh Ji Maharaj, Rev. Kundan Gauba ji with his wife Rev. 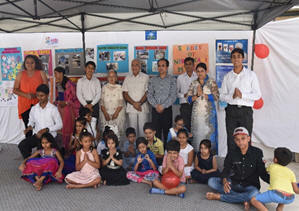 Jasbir Kumari ji visited Brisbane. Rev. Vijay Arora ji greeted the couple at the airport. While in Brisbane, Rev. Kundan Gauba ji stressed on the fact that saints need to have a clear understanding of himan values, sewa, mission and gyan. He also blessed all the saints with the Satguru Baba Hardev Singh ji’s valuable teachings. 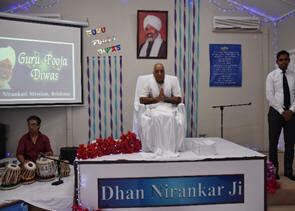 We need to love Nirankar with all our heart without faking it and respect fellow disciples. Rev. Kundan Gauba ji also attended the Sewadal Rally and blessed the sewadal members. He also visited local saints houses and blessed them with love, peace and prosperity. 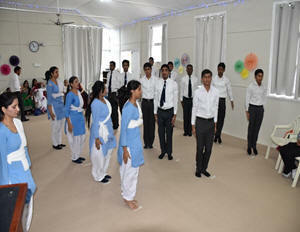 He was presided on a stage in a main congregation was held at local Bhawan on Sunday. 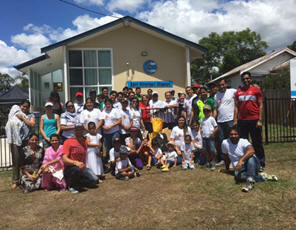 Brisbane saints attended the congregation with full enthusiasm during this spiritual tour. 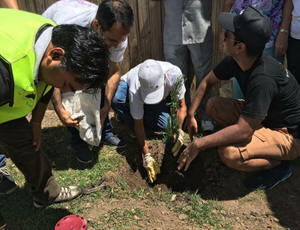 Saints also participated in Cleaning Drive & Tree Plantation on 6th March (Australia Day) with full vigor and enthusiasm. 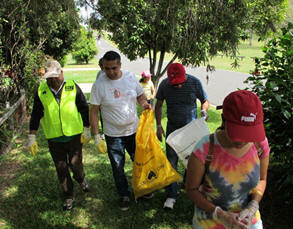 Lots of neighbors and people from Australian Red Cross also extended their hands in this drive.